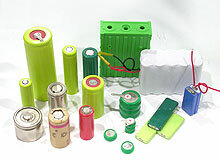 Batteries are manufactured according to IEC 61951-2-2003 standard. "C" behind the model no. stands for high cap type. "T" behind the model no. stands for high temperature type.